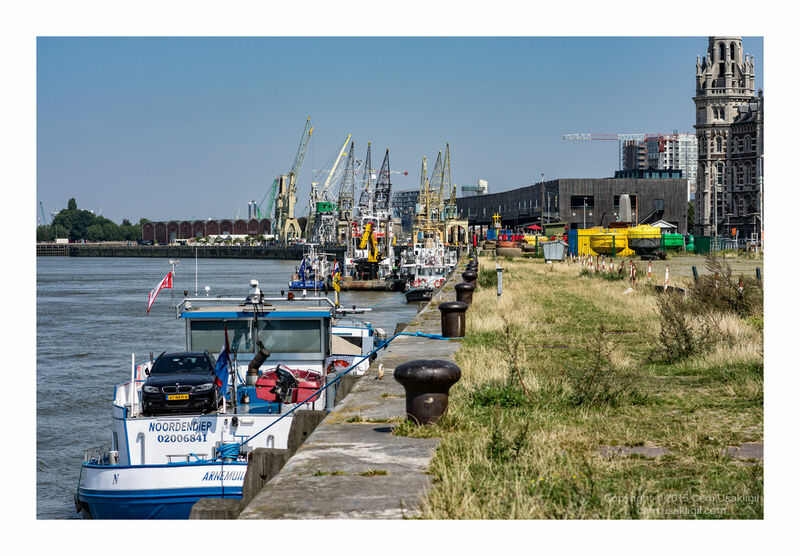 Dockside: Wharfs, Boats, Rigging, Cranes, Goods and more! Any boat with rigging should be shot with a single frame! Next time, a super wide angle lens! These stupendous machines were used to extract iron ore (taconite) from the holds of the gigantic vessels (always called "boats", never "ships", despite their size) that transported the iron ore from the mines near the upper great lakes to the steel manufacturing towns on the south shore of Lake Erie (prominently Cleveland but also several other towns). The machines had a large scoop bucket at the bottom of a vertical "leg", which was supported by a counterweighted parallel-arm arrangement (so the leg could be raised and powered while remaining vertical) that was in turn mounted on a large wheeled carriage so it could move from left to right (as we see it in the photo) on an even larger carriage. This larger carriage could move parallel to the railroad tracks beneath. The machine operator was in a cab in the leg just above the bucket (we can see him in the near machine, about halfway between the center of the bucket assembly and the large sprocket wheel). The leg could also be rotated so as to rotate the bucket. The bucket opened and closed not only in that its two members could swing open but also in that they separated by horizontal motion, thus given them an enormous "bite". The capacity of the bucket ranged from 15 to 20 tons of ore, depending on the version of the machine. The operator would lower the bucket into the hold, close it to get a "bite" of ore, raise it, and then move the supporting carriage to our right until the bucket was just "on shore" (the position for the nearest machine in the photo). Then the bucket would open, dumping the ore into a hopper that could travel on rails to our right. It would be moved to just over the destination rail car and its bottom would open, allowing the ore to go into the car. 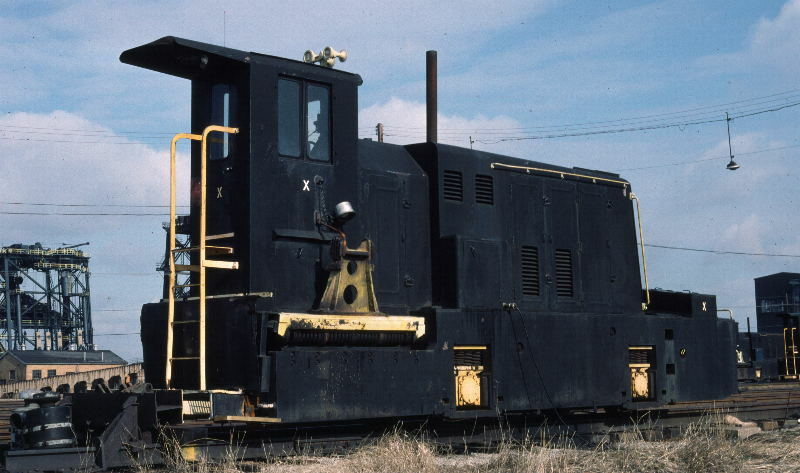 By the use of this intermediate hopper, the actual bucket and its gigantic carriage did not have to travel far enough to directly discharge into the rail car, and in any case the size of the bucket was such that it could not dump into the relatively-small rail car. The hopper can in fact travel beyond the rail tracks to dump the ore into a storage area (to our far right), when appropriate. In my youth, the sight of dozens of these behemoths operating at the Cleveland ore docks was wondrous indeed. In fact, a popular form of weekend entertainment for my family in that era was to drive to near the docks so the Huletts could be watched fairly close-up. There are many further fascinating aspects of Hulett unloader operation, but I need to go to breakfast now. This is indeed a wondrous and ginormous contraption. Thanks for sharing! Any boat with rigging should be short with a single frame! (provided that you wanted to write "shot" and not "short"! You did a nice shot BTW! Art, physics and a fine lady come together! This is magnificent, Nicolas! The demonstration of shear power and beauty. Women body builders try to do that but boats like this show what a lady can really do when she flexes her muscles and poses for us in the wind! I have since learned that the "pusher" locomotives push the cars not with a pole but rather with an arm that extended out to the side of the engine (although what it contacted on the car was perhaps the pole socket or at least the area near it on the end bolster of the car). I think it actually had a "fork" on its end that embraced the end of the bolster so the car could not "coast" beyond the motion of the pusher. The ore cars may have had a special bolster design to facilitate the "engagement" of the arm on the pushers. Back to the safety of land! The work on lesser costly parts of the dock, where smaller cranes service tugboats and more modest loads. Fascinating and practical engineering. Seems to be a foretaste of the issues of docking a capsule shuttle or cargo ship to the space station! Were these stitched from 60 frames or 80? But you jest, perhaps, Doug? With a Pentax 645 D or Z, (and a superwide lens, of course), one does not have to do much stitching if at all. These are, for sure one frame! From a drone. Right ? Nope, strapped into a real helicopter! That's Nicolas' mode, LOL! But you jest, perhaps, Doug? These are quite old shots, 7 years! At this time civil drones where not flying around! Stitching objects in movement such as a boat on sea/waves, would be quite tricky! The buildings are so varied in structure age and purpose! Hello fellow light lovers. I have not been around in ages and I promised Asher I would pop in so here I am once again. Life has sure taken some turns for Jennie and I in the past decade but most of it has been for the good. I am now living up in the Chicago suburbs and working hard to get to retire someday. 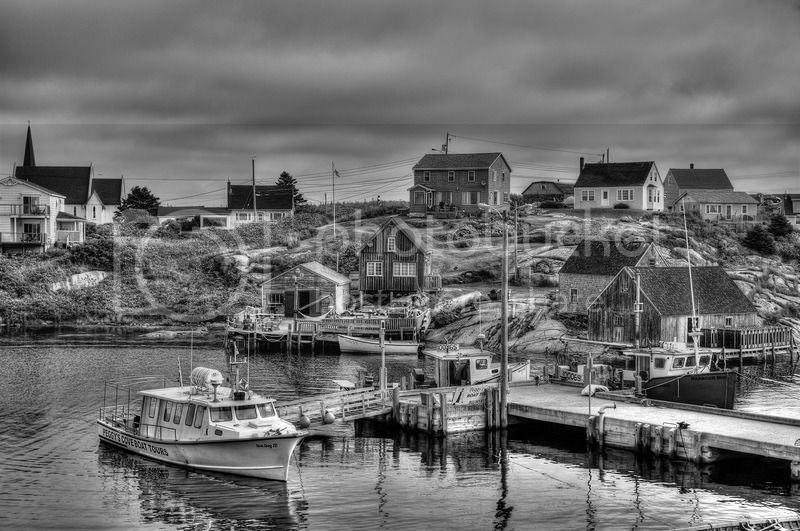 I have not been shooting much at all but we recently took a quick one week holiday up to Nova Scotia to see what we could see and to eat tons of delicious seafood, and I came away with a few shots to remember it by. It is a delightful place that I hope to return to again someday. 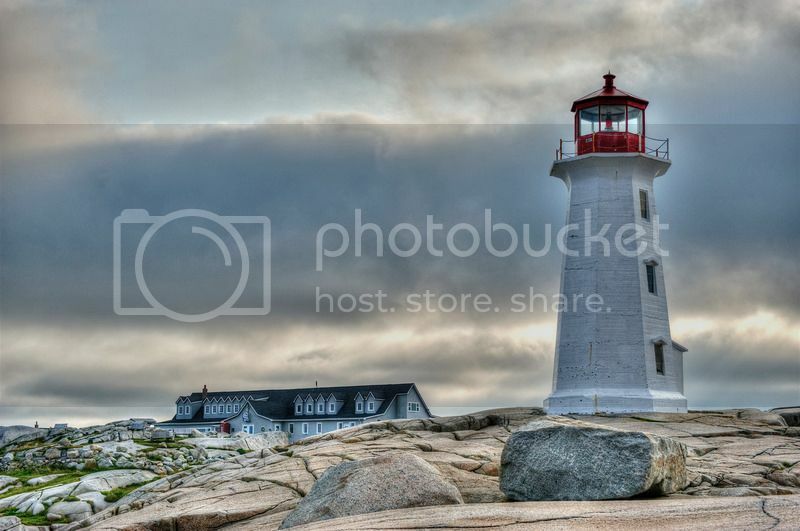 These are two shots from our first morning, at Peggy's Cove, where we really started our journey. I really did not need to tell you I have not been shooting much as it really shows in these photos, but like I said, I promised Asher a visit. There are boats in one of the shots so I thought it fit this forum, but if these need to be moved somewhere else, feel free. I'm just glad to be back. I really was not even sure if I could remember how to post images. As you can see, I forgot how to center them properly. Well, this is a superb and most welcome surprise! You're back and we have two new pictures to enjoy. Handsome and well lit. That cloud mass is very impressive and makes the image. One can never have enough lighthouses. I hope each area gets to adopt their local heritage and look after them so they don't fall into disrepair and get swallowed up! This B&W image deserves its own focus. There is so much detail here and it could be made into a lithograph and then hand colored! Hope you've more to show! Hmmmmm! I can almost smell the sardines! This place is like Bodrum in Turkey, very abundant fish and even the rarest of seafood! There's a giant indoor tiled market, lit to daylight where tens of thousands in Setubal and surrounding towns and villages come to sell fish or rlsecto buy and greet old friends. This timeless abundance must have been there for eons! Thank you guys for your comments !